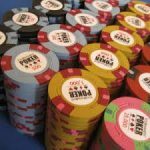 The survivors of the last ten days of elimination poker that have involved a total of 6 358 hopefuls, are preparing for the climax of the $10 000 buy-in main event – the final table for the 2007 World Series of Poker. The nine players who will compete Tuesday have a rest day today (Monday) before battle is joined. The chip leader going into the big game at noon on Tuesday, Las Vegas time is Philip Hilm, a Dane making a living playing poker online in England who holds over 23 million chips. who prefers heads-up cash games online, but travels to play in live events around the world. 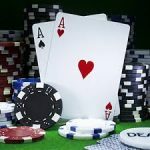 Successes in the live poker milieu include two cashes in European Poker Tour events: a fourth place finish at the Scandinavian Open in 2006 and 15th place at the Grand Final in Monte Carlo in 2007. He also has a cash in the 2005 World Series in the $2 500 Short-Handed No-Limit Hold'em event. The star player and captain of the PokerStars.com Polish team in 2006, he played in the World Cup of Poker and led his team to victory ahead of Team U.S.A. and Canada. Middle aged Toronto poker pro Tuan Lam represents the online poker site PokerStars.com and was born in Vietnam, immigrating to Canada at the age of 19 during the war. He learned to play poker from friends and is respected as a savvy and highly professional online poker player with a penchant for high-limit cash games. This is his third year at the World Series of Poker, where he has previously had one cash in 2005 and another in 2006. This is the deepest he has gone so far in the main event, and it will be his biggest tournament cash so far no matter where he finishes. Lam took second place in the six-handed no-limit hold'em event in the 2005 PokerStars World Championship of Online Poker for $55 000, according to the PokerStars Blog. The World Series of Poker attracts player from all over the planet, and Kalmar is one of many British entrants this year. He is now the sole survivor from that country, where he hails from Chorley in Lancashire. He's enjoyed a number of cashes in live and online events, the most significant being in the 2005 Main Event where he made 82nd place to win $91 950. He also achieved a 10th place finish in the 2005 European Poker Tour Irish Winter Festival of Poker. 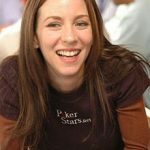 His 2007 WSOP effort was unremarkable prior to the main event, and he was on the brink of returning early to the UK when he decided that the charge to change his flight was better spent entering a satellite tournament for the main event. His luck turned, he won a seat in the main event and he has successfully fought his way through to the final table and the big money. This affable 62 year old South African is another PokerStars.com player who has a strong and voluble contingent of supporters livening up the rail action when he plays. 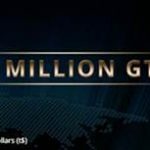 A “semi-retired” entrepreneur from Johannesburg, he has only been playing No-Limit Hold'em for two years. Before that, he was a lifelong and accomplished Seven-Card Stud player. At 62, Rahme is the oldest participant at the final table, and he also has the privlege of being the first African to appear at a WSOP Main Event final table. He won his entry into the tournament via the All Africa Poker Championship, where he placed fourth, and part of his prize was a travel package to Las Vegas and a seat in the Main Event. He had the distinction of defining this year's final table by eliminating the 10 th player. Lee Childs (35) was formerly a software engineer in Reston, Virginia, but has pursued a career in poker as a preference,and is one of three players at the main event final table with no live poker history in the Hendon Mob database. His performance thus far shows a clear flair for the game, and his specialty is online multi-table tournaments. 2007 is his first appearance at the World Series. Childs' father has been a great supporter throughout the tournament, encouraging him from the rail and he is having a remarkably first main event appearance that will earn him a solid paycheck. Despite the relatively short stack at this table, easy going forty year old Lee Watkinson from Cheney, Washington is one of the only two previous WSOP bracelet holders at the final table, and his capabilities in poker and math are widely respected. Besides poker, he is is interested in animal rights and runs his own business. He holds a degree from Washington State in economics and has made savvy investments in businesses such as a record company and clothing group, and leisure pursuits include wrestling and surfing. He shares an ambition with his wife to rescue as many simians used for research, movies, or other purposes as possible and eventually build an animal sanctuary. Probably the most exuberant and visible player in this year's main event is Internet poker phenomenon Hevad “Rain” Khan from Poughkeepsie, N.Y. His loud celebratory yells and jigs when he has scored a victory have made him the centre of attraction, but behind the public persona is a shrewd and capable brain that (Internet legend has it) can successfully play up to 28 tables at once in the fast lane world of online poker. Khan plays in PokerStars.com colors and the legend is that his Internet play was so rapid, large and accurate that he had at one stage to prove to PokerStars management that he was not a bot! He has claimed to have videotaped himself playing up to 43 tables online. Khan had already cashed in one preliminary event this year, making it to 41st place in the $1 500 No-Limit Hold'em event. He also made the final table of an event at the The four day, $10 000 buy in World Poker Tour Bellagio Cup III during his stay in Vegas. Temecula, California-based psychologist Jerry Yang (39) is one of the short-stacks coming into the final table on Tuesday. Born in Laos, Lang moved to the United States, achieved a Masters Degree in health psychology and now lives in California with his wife and six children, with a career in psychology and social work. 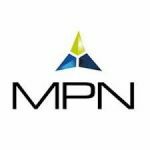 He won his way into the Main Event via a $225 satellite at the Pechanga Resort and Casino and has pledged 10 percent of his winnings from the Main Event to the Make-A-Wish Foundation, Feed the Children and the Ronald McDonald House. Alex Kravchenko hails from Moscow and is the sole Russian at the final table this year. He has enjoyed a successful eight-year poker career in addition to owning and controlling his own business interests. Kravchenko has had cashes in World Poker Tour and other key events all over the world, and cashed twice during the 2006 World Series of Poker, improving on that with an impressive five WSOP cashes this year. One of those is a bracelet win in the $1 500 Omaha.